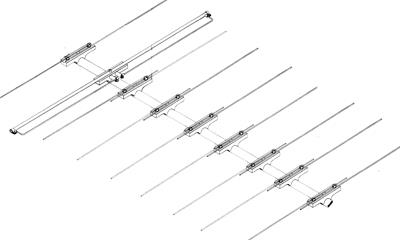 Mosley "Power-Master" VHF antennas combine superlative performance with the most rugged construction to be found in any vhf antenna for amateur use. 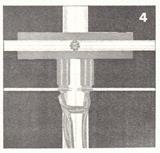 Element sections are 5/8" OD and 1/2" OD establishing an extremely low ratio of length-to-diameter. All metal hardware is stainless steel or other rustproof material. The element-to-boom clamping blocks are of cast aluminum and are self-aligning. 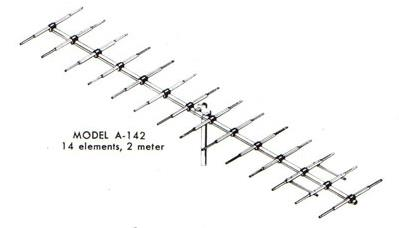 A unique matching stub permits antenna to be fed direct. Low VSWR over broad bandwidth is maintained. Pre-drilled and color-coded for ease of assembly. Stacking and phasing kits available on request. 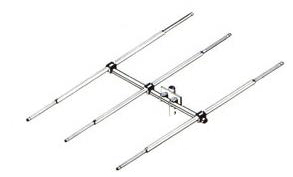 Mosley "MY" VHF antennas are Eye Pleasing, Low Priced, Top-Performance, Light-Weight Yagis. 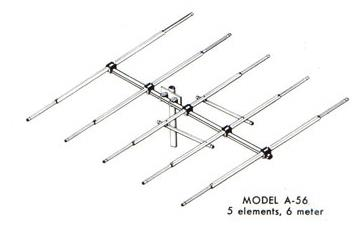 High standards of engineering, design and quality construction established by Mosley over decades of manufacturing antennas. Rugged, lightweight and easy to assemble. 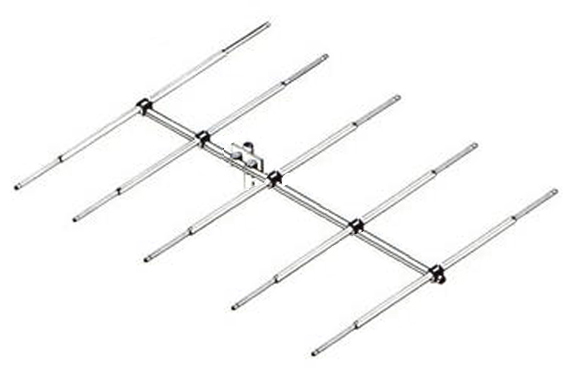 Elements are of 1/8" OD solid 6061-T6 aluminum rod, polystyrene insulators, boom of 1" OD 6063-T832 drawn aluminum tubing, cast aluminum mast mount for 1" - 1-1/4" OD masts. 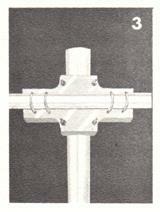 These unique, innovated element-to-boom insulator arrangement allows for ease of tuning with the turn of a screwdriver; a simple adjustment in element length. Mosley beams are constructed to provide the best weather protection from rigors of climate. The boom-to-mast casting is designed as one piece to eliminate clamping blocks and other exterior hardware. Incorporated in the radiator element is a 200 Ohm folded dipole with a 4:1 coaxial balun for maximum efficient transfer of RF energy from cable to beam. These 'A' series 6 meter beams are light weight yet durable providing excellent gain with a sharp pattern. 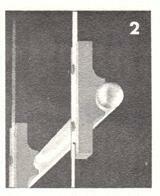 The 'A' series uses the Mosley Scotch Master "gamma feed" which gives you an effiecient transfer of power and signals! 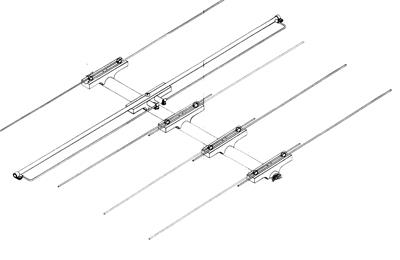 Built like the Power Master series, these beams use drawn aircraft grade aluminum tubing, swaged elements for reduced wind load, and stainless steel hardware. 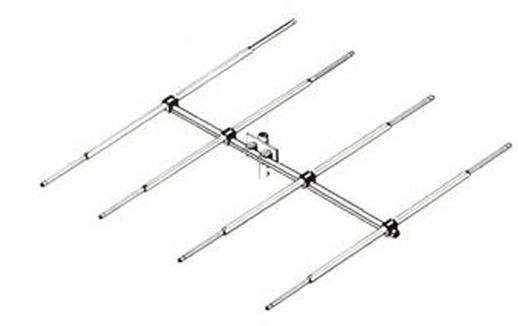 As with all Mosley antennas, backed by a 2 year warranty free of defects in workmanship and materials.